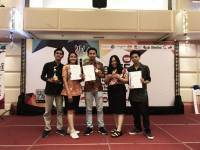 Denpasar - Tourism Program, Global Marketing, Entrepreneurship and Leadership, the collaboration of Udayana University with GoBali held the 2018 GoBali's Graduation Ceremony Winter Semester, Thursday (13/12) in the Hall of the Sudirman Campus Postgraduate Building Denpasar. The Tourism Program, Global Marketing, Entrepreneurship and Leadership managed by the Faculty of Tourism was attended by 97 foreign students divided into four study concentrations namely Logistics, Management, Marketing and Tourism. 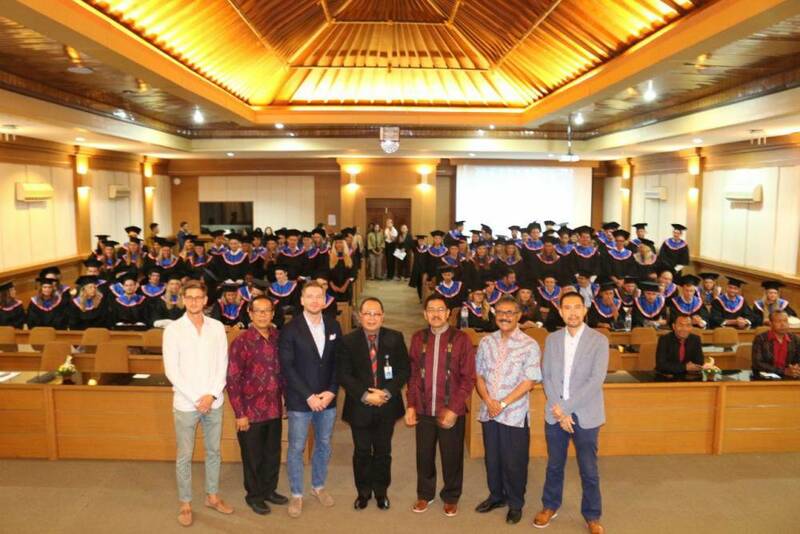 The event was attended by the Vice Rector for Planning, Cooperation and Information, Dean of the Faculty of Tourism, Deputy Dean, Cooprodi, Center for International Programs, CEO and GoBali Program Manager and other invitees. The distribution of students in each concentration was 16 people in Logistics, 44 in Management concentration, 24 in Marketing concentration and 13 in Tourism concentration. 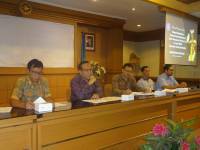 Dean of the Faculty of Tourism Unud, Dr. Drs. I Nyoman Sunarta, MSi said that until now the number of participants who had joined the GoBali program from its inception had reached 1016 foreign students.